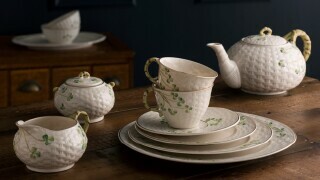 Created in the Claddagh village and used as a marriage ring in days of old, the Claddagh ring has become a token of love. The three elements of the ring, Heart, Hands & Crown symbolise Love, Friendship & Loyalty. 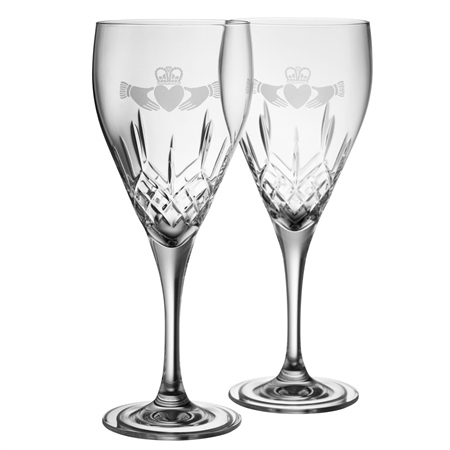 Add a piece of Ireland in to your home with these stunning goblets which feature an engraving of the Claddagh design, symbolizing love, friendship and loyalty. 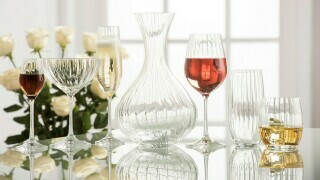 Made by Galway Irish Crystal in the West of Ireland, these glasses are sure to be a hit at the dinnertable.